Diablo 3 Memories: Remember those from the last 8 years? Since there isn't anything new for the next season, let's revisit some of the great memories, people and events this game has provided since its announcement in 2008. I have played since D3 vanilla and often see people online who just joined in the last few seasons and missed out on interesting parts (some fun, some not so much) that Diablo offered during the years. Diablo 3 announcement during BlizzCon 2008. After years of waiting Blizzard finally revealed D3 to the public. It took almost another 4 years until the release and the game changed quite a bit but this was when the hypetrain started to gain some speed. The crafting and item menu system used to look and work different from what we know today. Some monk gameplay from 2009. Most of the skills still exist today but with different mechanics (Seven Sided Strike has a much longer cooldown for example). Early WD and Barb coop gameplay in Act 1 Leorics Highland. The Siegebreaker we know from Act 3 was used in Act 1 at that time. In an early build there were actually "finishing moves" where the character could do a final blow to a boss with a special animation like the Barbarian jumping on the hear of the Siegebreaker to strike it down. In May 2012 the launch finally came after a beta phase where people could play until the Skeleton king and get up to lvl 13. 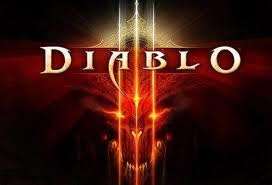 Diablo 3 became the fastest selling PC game and the launch itself came with a lot of server issues and waitlists. The gameplay itself was good but not as smooth as it is today. In the early days Diablo had difficulties similar to Diablo 2: Normal, Nightmare, Hell and Inferno (which was new). The monsters strength and hp was fixed in certain areas and difficulties. Inferno at that time was actually really difficult with most people struggling to get through Act 1. Many monsters (wasps...) would one-shot players and overall damage you could do was far less than it is today. Think about going into T8 with a fresh lvl 70 char. This now infamous tactic was widely used. Todays GR80+ guides are what used to beInferno gear guides. This HC Inferno kill on the last boss was the world's first at that time. Apart from playing through the campaign there wasn't much else in real gameplay players could do. Item drops were very rare with most people finding 2-3 legendaries at the most until level 60. On the highest levels more legendaries dropped but it was nothing compared to today. Guides on farming for gold and items were a help to some players back then. The so-called Alkaizer runs were popular - they came from the still active streamer Alkaizer who ran through different high-density zones for hours. Blizzard changed the difficulty system and released the so called "Monster Powers" similar to Torments today. You could play on MP1 (normal) all the way up to MP10 (similar to T13). Even with perfect gear mobs on MP10 took quite some time. Next to the regular gameplay many people gamed the Auction House. For those who didn't play back then: The Auction house was an integrated part originally designed to trade items and to prevent third-party sites to establish an ingame-economy. You could buy and sell almost anything through a bidding system for gold or real money. This quickly led to a system where some people would just buy some gold with real money and then spend it on items that would take weeks to farm. People who played a lot or got lucky could make a decent amount of money selling their stuff on the Auction House. A few of the now inactive streamers/YouTubers releases Auction House guides for Monster Power-levels. The MP10 Critical Mass wizard was really popular at some time. It used a passive skill called Critical Mass that reduced your cooldowns if you land a critical hit. Combined with items that gave 10 arcane power on hit (now capped to 4) you could channel skills like Explosive Blast, Frost Nova and the like. At that time you could only get up to Paragon 100 which was tied to a character, not account wide. In 2014 Reaper of Souls was released. Prior to the release a new patch changed much of the basis mechanis. Smart Loot was enabled (most items just drop for your class with useful stats, used to be completely random), prices were adjusted, skills were changed and so on. The RoS-Launch was a lot of fun and went much better than the original D3 launch. I still remember the race to 70 in clan chat, all the new events in Act 5 and the huge upgrades from lvl 61 weapons that made the most expensive Auction-House-gear obsolete. With the expansion also came hundreds of new crafting materials that were tied to specific bosses throughout the world. Some were rather difficult to farm and the overall system mostly annoyed players. Blizzard removed most of it a few months later. Some items still drop today due to bugs. With Patch 2.1 came new features like greater rifts. To access those you had to complete bounties which rewarded you with regular rift stones. Completing a regular rift provided a Greater Rift Trial keystone. After completing a trial which tested your strength through waves of mobs that continuously increased in difficulty you could enter a Greater Rift. This took quite some time and you needed a coordinated group to get into higher levels. Solo players often had difficulty completing trials on time, especially if they used ramp-up skills/sets like Firebirds. The first greater rifts were into the 30s and really low compared to today. Completing Torment 6 was actually difficult at that time. Sets dropped less often and were far weaker than today. With the release of seasons began a competitive aspect. People reached higher and higher Greater Rifts and raced to reach Paragon 1000. Doing GR37 was in 5-7 minutes was considered speed running at that time. Optimizing GR Trials also become a favorite hobby of some. The only time that the top level went down was/is in Season 7 for which Blizzard nerfed a few key items. Throughout the seasons everyone always wanted to know which builds would be the best. Usually a PTR (public test server) went up a few weeks in advance where people could try out new builds. Most of the time the best builds became popular a few weeks into the season though. I still remember everyone playing HOTA-Barb and Dart-WD as damage dealers until someone on the Asian server found out that the neglected skill Static Charge was in fact incredibly strong. Some PTRs were so bugged that they allowed GR151 to be cleared in a few minutes and get up to Paragon 10000. Patch 2.4 came out almost a year ago and brought some of the biggest changes (new sets, set dungeons, revamped skills, Kanai's cube, new areas) to the game. It is suspected that most of its content was supposed to be used in an expansion which was never released which brings us to the present day, still hoping for new content or, even better, a new game. I hope you enjoyed this little history trip as much as I did. What were your favorite moments around Diablo 3?